In Cornwall last week for a few days and what is the first thing I yearn for? Apart from Rick Stein‘s fish and chips (which are sublime) it has to be the authentic Cornish pasty. Just like Guinness in Dublin, the pasty definitely tastes better the other side of the River Tamar. Everybody will have their favourite bakers and recipes for the ubiquitous pasty and by and large I have to say I’ve yet to have a bad pasty in Cornwall. For those not familiar with pasties, they originate from the miners who used to take them down the mine for food. Pasties tend to be variations on meat, swede and potato with bits and bobs added. Purists of course will insist on beef, onion, potato and swede with plenty of seasoning. So who’s pasty is the best? 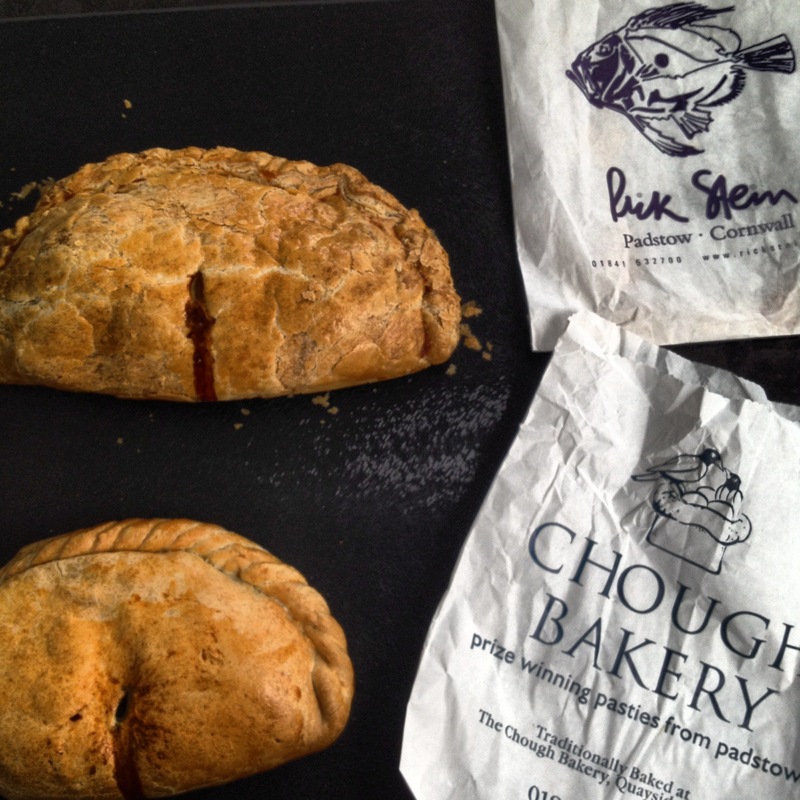 Well for a bit of fun I bought an authentic, traditional pasty from the Chough bakery in Padstow (award winning no less) and a pasty from the famous Rick Stein deli in the same town. Of course Stein has rather monopolised Padstow but I don’t mind as he’s definitely taken the place up market and the quality of his food is top notch. 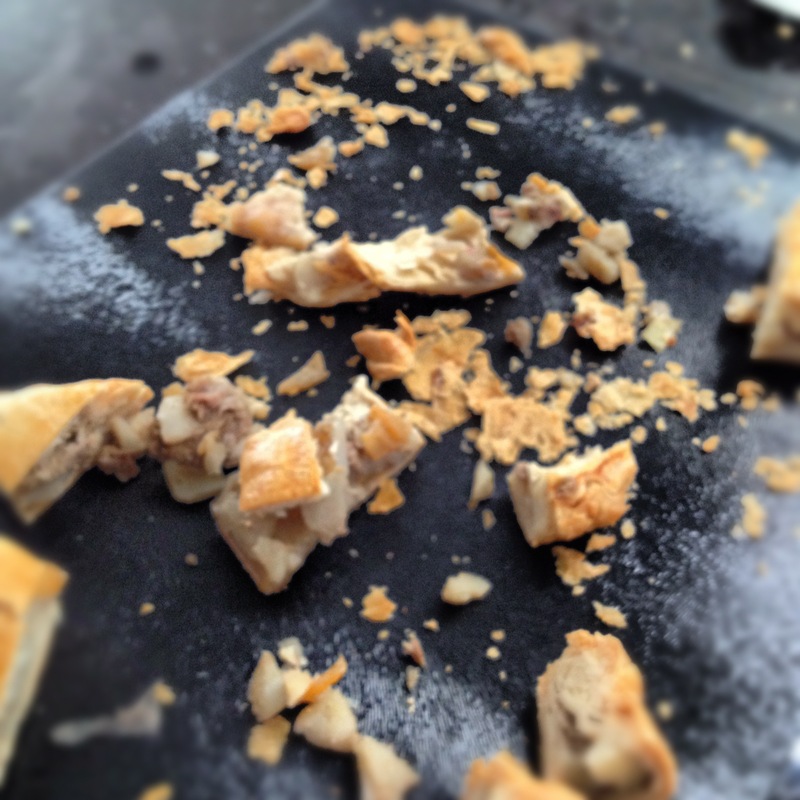 This wasn’t a scientific test by any means but we blind tested the two pasties with our party and there was one resounding winner – Rick Stein’s. 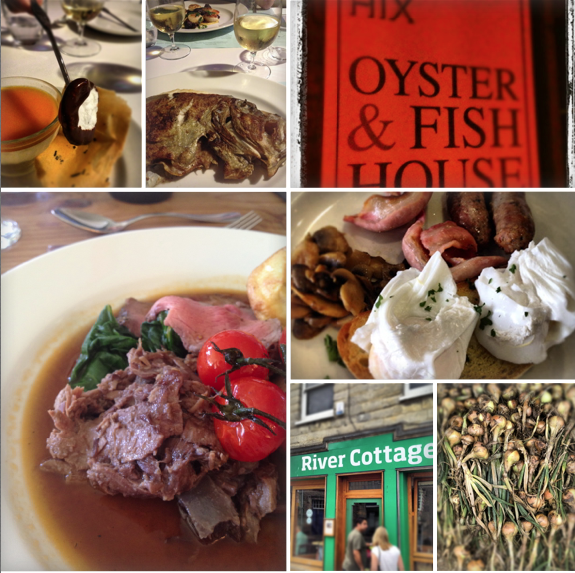 The flavour was infinitely better – well seasoned and the quality of the meat was superb. Oh, and it was bigger. So the locals may decry the johnny come lately Stein pasty but it is far superior to the ‘traditional’ recipe.